WhatsApp ubiquitousness is without doubt known across the social media networking world. Its smooth experience, fastness, easy to use and strongly encrypted security makes it quite reliable to converse with our family and recipients conveniently. WhatsApp over the years have grown to become one of the most popular and mostly used social media network after Facebook. After reaching over 1.2 billion monthly active users, you'd agree with me that the number has increased a lot much more than the 450 million users been recorded back then. Facebook's WhatsApp messenger improvement is rolling out every day, and new handy features are been added for continuity. We've seen the WhatsApp status, and other essential features that's worthy of making use of, but it seems something is missing even with all the regular monthly updates​. WhatsApp right from the very beginning have never allowed its users to upload full size profile photos, as you're been prompted to crop your pictures before uploading. This is too irritating, as cropping part of those photos gets rid of the background and other natural landscape, leaving you with only a seleted area to look at. Uploading a full size image on WhatsApp can be achieved even without rooting, as all you need do is simply to square your pictures. Hence here's how to set full size WhatsApp profile picture without cropping. Install SquareDroidSquareDroid also known as no crop app is perhaps the best Android app that brings a stylish and modern material design, and it allows you to upload full size photos quickly without the need for cropping. So to begin with, head over to the Google Play Store and install#SquareDroid: No Crop App. It's a free app, although you can upgrade to the Pro version in other to enjoy a new express-save feature that helps you to save edited image quickly. Square Your Profile PhotoOpening SquareDroid welcomes you with an easy-to-use interface, at the top right corner situates the app's Settings icon, however tinkering the options over there isn't in any way compulsory. Now to get this one going, simply tap the "Square Profile Photo" button and scroll through your gallery to choose a beautiful picture you'd want to use as your WhatsApp dp. From here, you'll be prompted to choose the newly selected image border type. Left for me, i'd go for the blur effect, as it makes the image look more lively. Assuming you have chosen the blur effect as recommended, use the slider to adjust the blurriness to atleast 45% or more. Then tap done!. Next, you'll be presented with handy tools such as rotate, scale, crop, save etc. and this can help to liven up your image the more. So use any of them to your preference. Notice the floating color palette icon, you can use this to change the border type whenever you want to. Once you're done settings things up hit the Save button, then select save format and tap Save Photo. Upload Your Fully Squared ImageNow open WhatsApp messenger and head over to Settings >> Profile. Then browse through your gallery and select the image you squared earlier on. It'll automatically fit in, tap on Done and you're all set. Repeat this steps for any of the photos you wish to use as your WhatsApp dp. That's it! 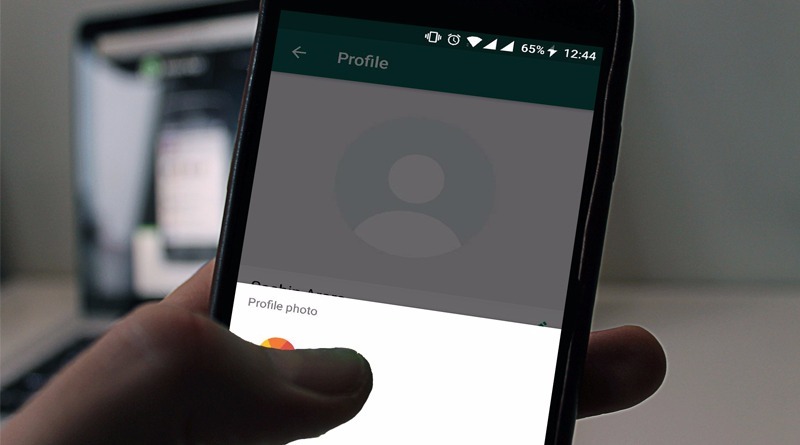 Now you can get rid of that awful frustration when it comes to cropping your great full size photos before posting them on WhatsApp as a profile picture​. If you know of any other app that can quickly and easily set full size WhatsApp profile photo without cropping, then kindly unveil it to us by using the comment box below.